new homes Atlanta lot waiting just for you! Built by Atlanta homebuilder KM Homes, lot number 96 has everything a new homebuyer could want, and its move-in ready! The amazing home located on lot 96 features KM Homes’ elegant Edinburgh plan priced at $472,900. This lovely home is ideally situated on a large wooded lot, with a four-sides brick and stone exterior. Homebuyers will be stunned by the beautiful interior appointments which include four bedrooms, three-and-a-half baths, basement, three car side-entry garage, charming study, office, formal living room with fireplace, Chef’s kitchen, loft, upstairs laundry, spacious master suite and a superior quality porch. This home has it all! The Enclave at Turnberry boasts wonderful community amenities, such as the amazing clubhouse, Junior Olympic pool, a two court tennis pavilion and an outdoor patio with fireplace. Other nearby locations includes Lake Lanier Islands Water Park, the Mall of Georgia, Windermere Golf Club, and so many more great places. With so much to do, his community is perfect for families with any interest. 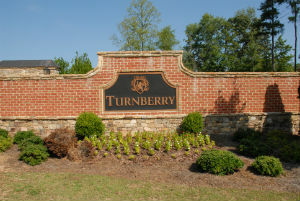 Children residing in The Enclave of Turnberry attend excellent schools such as Settles Bridge Elementary, Riverwatch Middle and Lambert High.